As I sit still tonight and reflect on the friends and ministry team members the Lord has brought my way, I’m amazed at the variety of gifts, talents, and personalities He has created. Writing, speaking, researching, sewing, assembling, decorating, praying, encouraging, and more. None of them more important than the other, but all a valuable contribution. And all precious to me, for truly He has shown me I can’t do it alone. We are better together! I think about the disciples Jesus chose to walk along side and do ministry with Him. They also came with different skill sets and trades. We don’t hear much about them using those skills once they started their ministry with Jesus, but I would imagine that they still did. Some were probably relied on for their fishing abilities, others for their prowess with money, etc. It just reminds me how there is no need for comparison. God has gifted each of us uniquely for a reason, and that just like the various parts of the physical body, our gifts complement each others’. While we are each unique, truly, we are better together! There is so much power in fellowship! When we all work together, bringing our gifts together in unity, we open the door to Christ’s light! That is so true. But remember, the disciples argued too, and that would be great to overcome as believers. There is such truth to this. 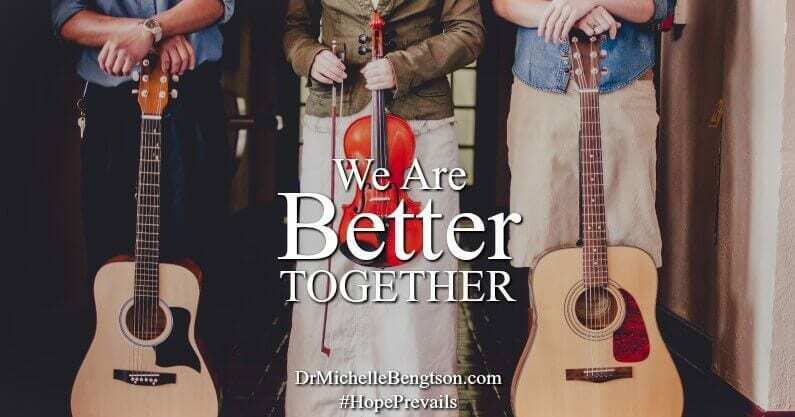 We are all better together because we all have strengths and weaknesses in different areas. I also always think that the world would be a really boring place if we were all the same. (like if the whole world was filled with people exactly like me) Our differences are what help us learn and grow together. Thanks so much for sharing! We are better together: ALL WAYS AND ALWAYS. 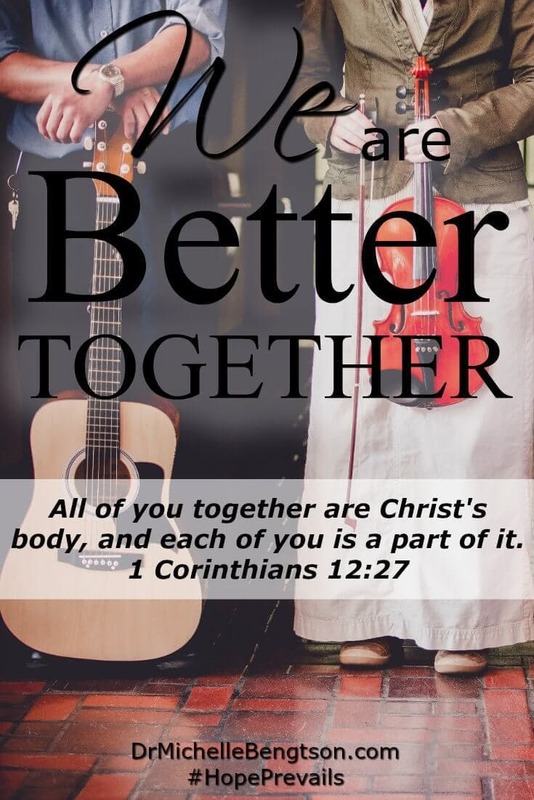 My husband and I are always saying “Forsake not the assembling of yourselves together…” Fellowship (especially Christian fellowship) is so encouraging and needed. And if it’s not encouraging we need to reevaluate the fellowship we are having!